Vinyasa yoga is a form of yoga linking body movement with breath in a series of flowing postures that enable students to stay present as they learn to move gracefully between poses. This class is directed towards students who wish to have a more energetic practice to build their strength and flexibility. Variations are provided to challenge all levels from beginner to advanced. Hatha is a very traditional style of yoga that uses asana (physical postures) pranayama (breath work) and meditation (dhyana) techniques to re-kindle our sense of balance, harmonising the mind body connection. HA means sun, and THA means moon so expect dynamic and energising movements weaved through more introspective, cooling postures. This wonderful combination of opposite energies helps to strengthen, relieve tension, and encourages us to pay attention to the breath. When we unite these aspects and begin to calm the fluctuations of the mind, yoga becomes a powerful tool for transformation. This gentle class is suitable for those new to Yoga as well as seasoned students. Click through for a PDF of the yoga timetable. Yin Yoga is a quiet (but not inactive) practice that allows the student to really zone in to their body. 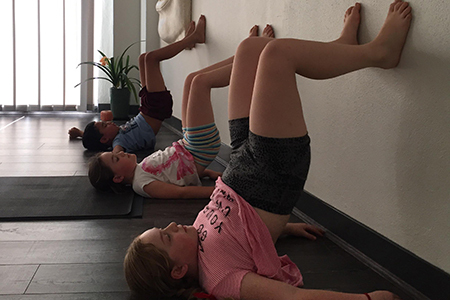 This class stays close to the ground and is directed towards students who wish to balance their more vigorous practices by focusing solely on the stretching aspects of yoga. Yin yoga creates a deep stretching experience and is great for athletes and others looking to increase their range of motion. The Yin style targets the muscles and connective tissue of the hips, pelvis, spine and shoulders. This class challenges the physical body and also the mind. 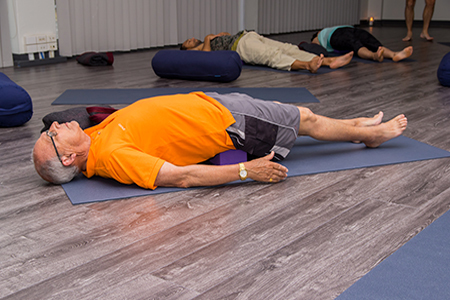 Restorative yoga is a deeply rejuvenating form of yoga. 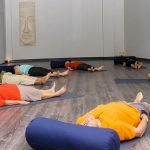 The goal of restorative yoga is to achieve physical, mental, and emotional relaxation with the aid of supportive yoga props. The props provide softness and support, which enable your body to relax and release tension, giving it the opportunity to renew and heal. This class is directed towards students who are looking for a softer and more supportive practice, it also provides a very gentle practice for students experiencing injury, stress or illness. Restorative poses are explored for longer periods of time than traditional postures and have been proven to be therapeutic, encouraging peace of mind while managing pain and stress. Dru Yoga is a graceful form of yoga based on flowing movements, directed breathing and visualisation. With its foundations set firmly in ancient yogic traditions Dru Yoga works on the body, mind and spirit, improving strength and flexibility, creating core stability, building a heightened sense of positivity and deeply relaxing and rejuvenating your whole being. Dru Yoga is designed to be practiced by people of all abilities, all fitness levels and age groups. Postures are taught in a staged approach with modifications where needed so that all participants can practice safely within their own limits. One of the key elements of a Dru yoga class are the Energy Block Release Sequences (EBRs) which are specifically designed to release stuck energy at all levels of our being and directly influence our subtle energy channels. Dynamic Dru classes take the flow to a more aerobic, dynamic level with less stages & modifications. 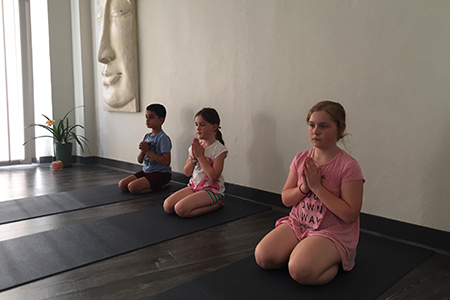 Bring your kids along to join Bryan for a fun and interesting yoga class that will assist to calm busy minds, bring a feeling of balance and being centred. The stretching and gentle movements can help with growing pain and prevention of sport related injuries. Wednesdays of the school term at 4 Pm for 45 mins. Suitable for ages 7 and above. Bryan is very encouraging of children with learning or physical disabilities to join Yoga. Please call to discuss if you would like further information. Monthly Unlimited Yoga Membership: $175 month pay as you go. Equivalent to $14.55 a class if coming 3 times a week. Pilates is offered as a treatment to increase suppleness, flexibility, strength and rehabilitation. This is an innovative treatment that has had wide spread success in the health industry because it is consistently achieving positive results across a broad spectrum of conditions. A host of health care professionals’ credit Pilates as the number one exercise because it physically enhances the body whilst simultaneously improving posture and awareness. Many elite athletes make Pilates a key component of their training regimes to give them a competitive edge in speed, strength and endurance as well as recover and rehabilitation from injury. 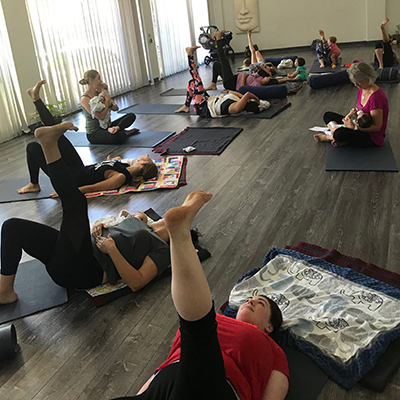 Strengthening the mind-body-spirit connection has time and time again proved itself as extremely beneficial for ones’ overall well-being and Pilates uses this mind-body connection and challenges the body to work at its optimum alignment, posture and balance. The best thing about this treatment is that it is available to everyone and has the potential to significantly enhance their lives. Our instructor is also a certified physiotherapist in the UK. You will need to book a one on one consult before joining a class, for a full assessment and to start learning the essential techniques. Classes are $21.00, see the Yoga Timetable for times or call reception.